1. 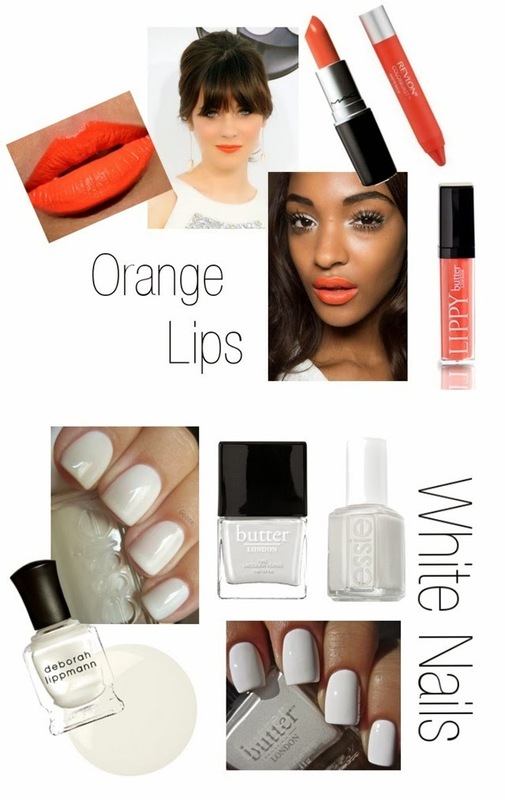 Orange Lips - Orange tones are making loud mouths cool this season. Vibrant and playful, this citrus hue looks good on all skin tones. Play around with different shades to see what looks best on you. 2. White Nails - From opalescent to true white, this universal neutral is crisp and modern. Blue Eye Makeup - Aquatic eye colors are the way to go this season. You can go bold and dramatic with a smoky eye, or simple and subtle by lining just your bottom water line. Glowing Skin - Create a lit-from-within look by using highlighters and luminizers for a glowing complexion. 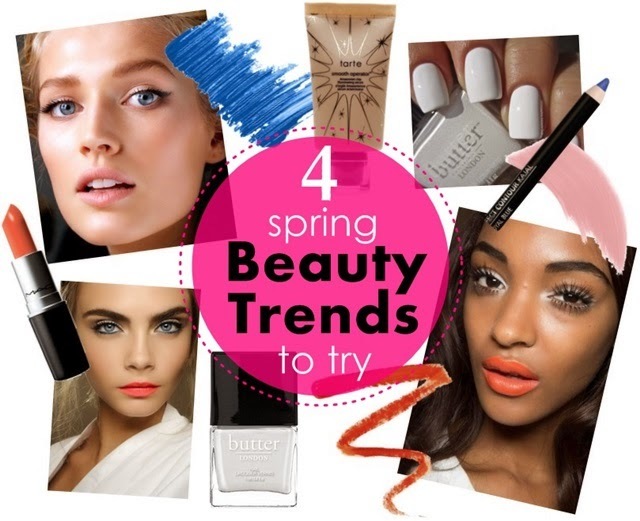 Which beauty trend will you be wearing? I have yet to try the white nail polish...they look fierce! Thanks for linking up with #BeautyBuzz!